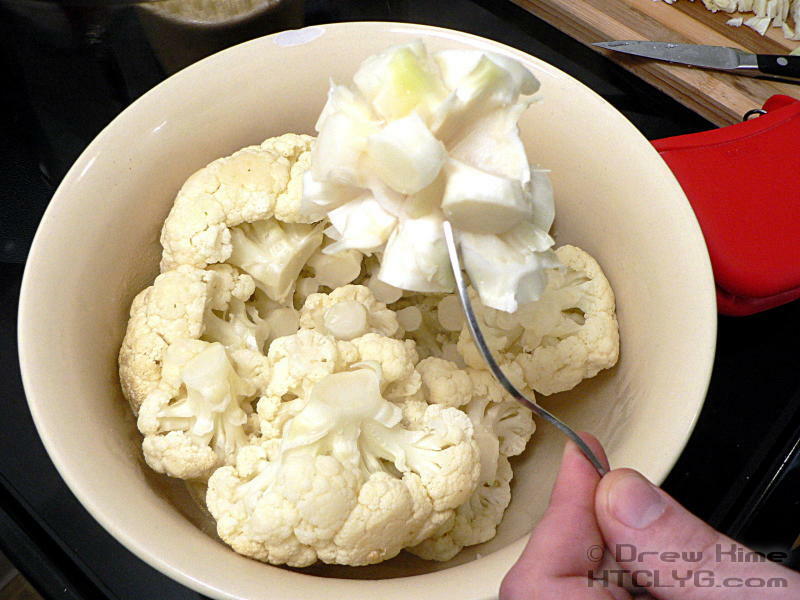 If you want mashed potatoes but you’re eating low carb (which I am, during the week) or if you just don’t have any potatoes handy, you can use cauliflower instead and get a very similar side dish. 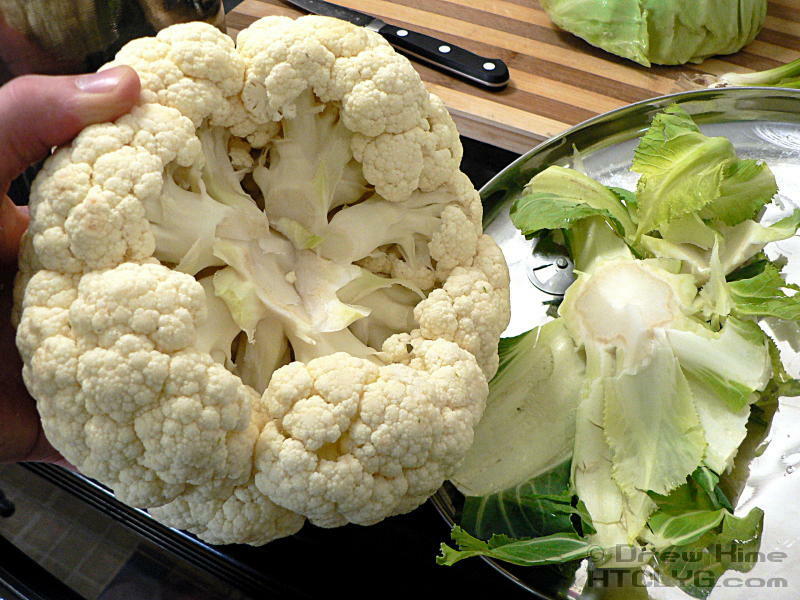 It’s also great in recipes that include mashed potatoes as an ingredient — like Colcannon or Shepherd’s Pie. 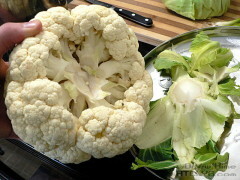 Start by cutting out the leafy part of the stem. Don’t worry too much about getting the whole thing, you’ll have a chance to get the rest later, but this will make it easier. 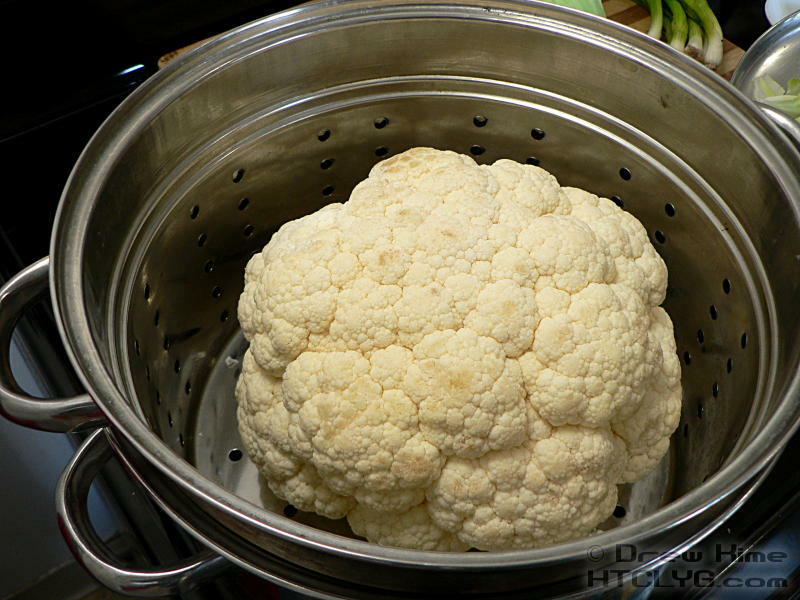 Place the entire head in a steamer basket or, like I did here, in the pasta strainer in a large pot. Don’t add water. We’re not steaming it, we’re roasting. I’ve done this via steaming before, and the result is thinner and runnier than mashed potatoes. 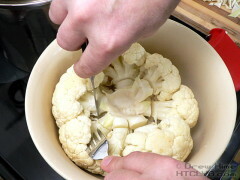 Put the lid on and place in a 350° oven for about an hour-and-a-half, until a sharp knife goes all the way into the center without much resistance. Turn out into a heavy bowl and cut out the rest of the stem. It will be much easier now because it’s nice and soft. Process with an immersion blender. Add enough cream, milk, or butter to get everything moving around. 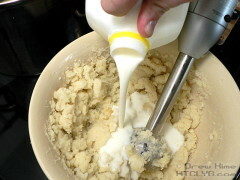 You can do this in an upright blender, but you’ll have to add much more milk and thin it out. 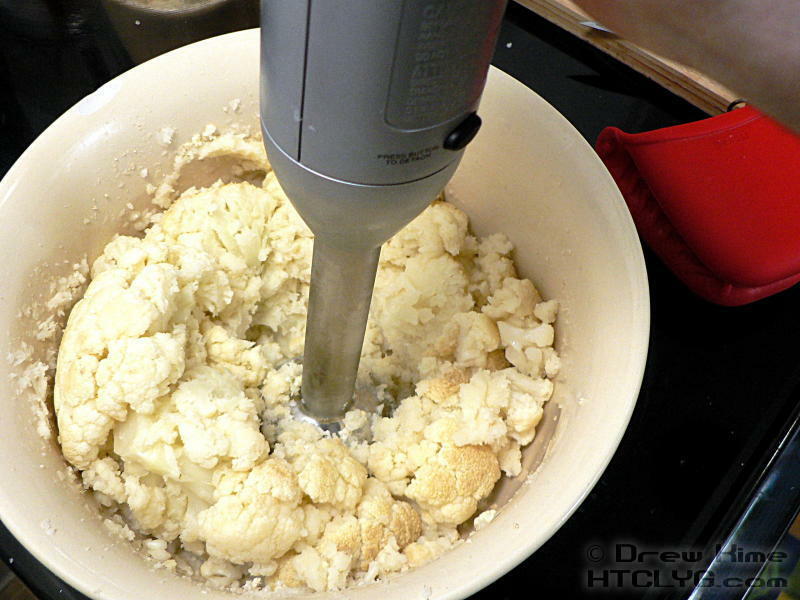 With the immersion blender you can get a much thicker consistency, more like mashed potatoes. 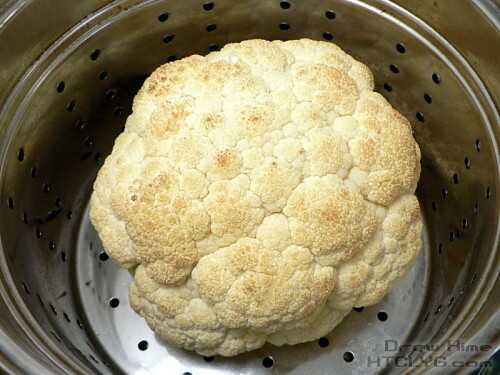 Serve with butter or … Oh, I almost forgot! This is going to need salt. Add it before blending. Where was I? 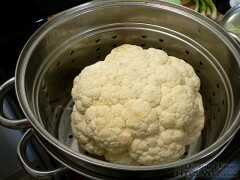 Oh right, serve with butter or gravy, or add to your shepherd’s pie, colcannon or other recipe.